Despite the fact that I am not blind to the realities that exist, I am always reluctant to compare any individual or group to Hitler and Nazi Germany. 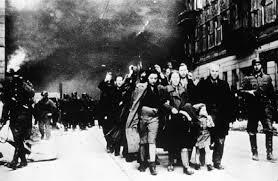 The murder and destruction the Jewish people dealt with during that time was beyond any reasonable comprehension. Sadly today I come to the realization that there are steps in place to try to duplicate a particular activity by the Nazi party perpetuated against the Jews of Europe. Yesterday in speaking with two family members who just returned from a trip to Israel, I heard about what a cosmopolitan and beautiful city Jerusalem has become. When I lived there for 3 ½ years in the early 80’s, the city was already one filled with exciting diversity, beauty, and opportunities for enjoyment at every turn. I am told that today what I remember was nothing compared to how amazing the city has become. It still has that wonderful mix of religion and modernity one needs to experience to understand, and has become so developed that it now feels like a worldly metropolis. It has become a beautiful home for the Jewish people. In 1930’s Europe there were many beautiful homes for Jewish people. Homes decorated with the most beautiful furniture, silver and gold jewels, and artwork at its best. These were homes that Jewish people worked for, built for themselves and for their children’s future, and believed, as any normal person would, that they would own and hold onto for generations to come. The Nazis had different plans. When the Jewish neighborhoods were ransacked and decimated, the end result being that families were at best displaced, but more often than not murdered in entirety, Nazi officers would move into these beautiful homes and live in them as if they were their own. With the Jewish people being shipped to concentration camps and murdered in the millions, the Nazis who would move into the homes belonging to Jewish families with no remorse or conscience. In comparison to torture and murder this was certainly not the worst thing done to the Jews of Europe, but emotionally it was destructive and it exemplified the disdain and hatred the Nazis had towards the Jewish people and their feeling that we as Jews were a subhuman race. Fast forward to today and the State of Israel, whose capital is the beautiful and biblical city of Jerusalem. A city rich with historical beauty and culture, built into a modern and wonderful city by a Jewish government as a home for the Jewish people. As a peace process continuously stalls because of the Palestinian leadership’s desire to take Jerusalem from the Jewish people and as Iran’s leadership openly speaks of ridding Jerusalem of Jews, the parallel in approach to Hitler’s Germany is eerily similar. Move into the home built by Jews and live there as though it was your own. Of course the difference today is that an army exists that will fight as hard as necessary to prevent this, but the mere fact that such behavior has once again reared its ugly head is a sobering thought for anyone that looks at history from an honest perspective and one that should not be ignored. This entry was posted on Friday, February 21st, 2014 at 1:41 pm	and posted in Uncategorized. You can follow any responses to this entry through the RSS 2.0 feed.